Being agile has grown well beyond just applying agile practices to your project management processes. Organizational agility enables a company to rapidly change or adapt in response to shifting market dynamics. Agile tenets are considered critical by executives and senior leaders. 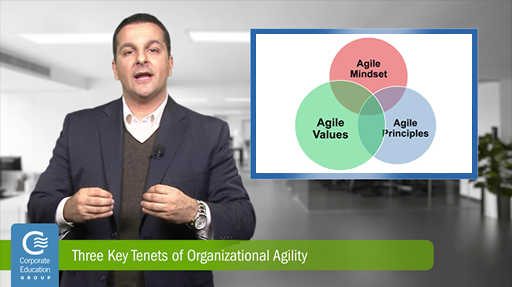 Watch the video to find out more about how to develop the agile mindset, agile values and agile principles that will improve your organization's ability to rapidly adapt to change and make it possible to deliver increased value to your customers.